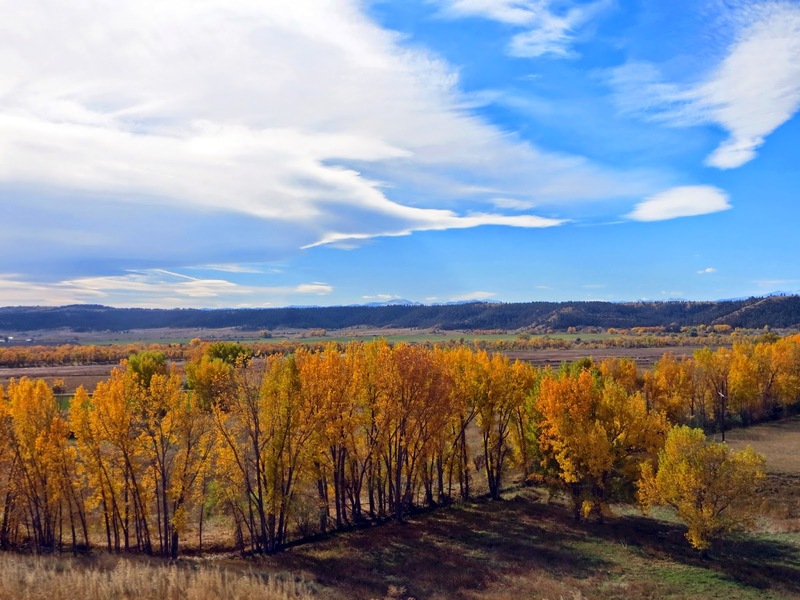 Earlier this month I posted another photo of yellow trees in Montana. We've been through here a few times in the last two weeks. I'm drawn to their brightness and varied yellow hue. This picture was taken in the late afternoon, but the sky was still bright, the river was flowing in the background, you can get a glimpse of a small mountain ridge, and then there's that line of pretty trees in varying shades of yellow. I love your photos. This one makes me want to be in Montana with you. With some good coffee in hand, leaf-watching.